Did I not say I was obsessed with neon? 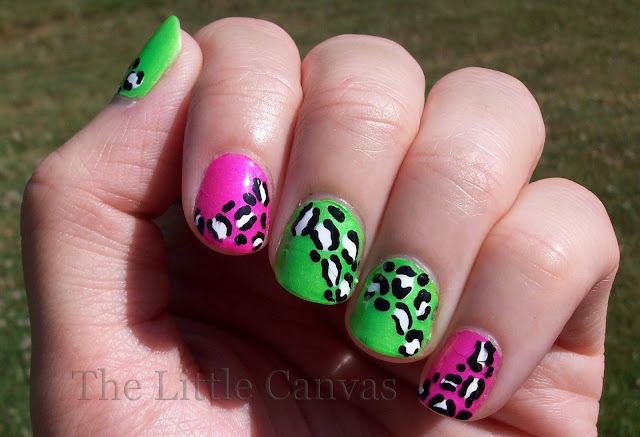 If you missed it, then I shall say it again...I AM OBSESSED WITH NEON! I seriously cannot get enough of these polishes. I keep painting and painting and painting and using them up. The great thing about them though is that a little goes a long way. Seriously, these China Glaze bottles look like I've never used them. Each of them I have applied two coats and had full coverage. For this manicure though, I used three coats. I really wanted them to pop and to catch people's attention. And boy did they, I received so many compliments on them that I'm going to do them again. When I sat down to do this manicure, I knew I had to use I'm With the Lifeguard. It was my only un-tried from my recent neon splurge. I didn't want to have all green nails, and after seeing how Hana had her nails accented on Pretty Little Liars, I decided to copy the accenting. I grabbed Hang Ten Toes, and got to painting. Love. Literally, that's all I can say about this manicure. I was in love with the plain colors, but you know me, I have to add some form of nail art. I wasn't sure what to do, until I saw the manicure my friend Tianne did. 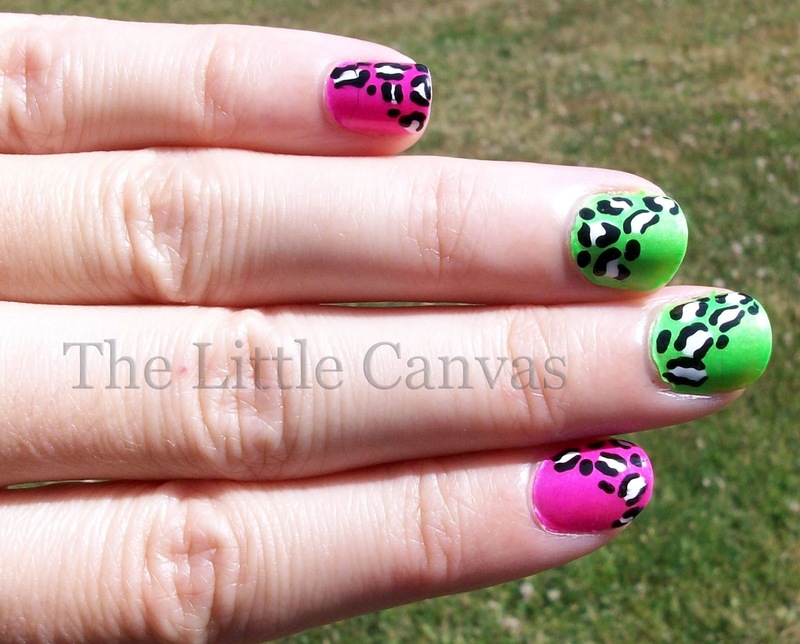 Remember Tianne, the girl who did the awesome Galaxy Nails guest post? She had partial leopard tips, I guess you would call it. Since I didn't want to do another full leopard manicure, this was perfect! The zebra print looked more like sticks. I was semi happy, just not 100% happy. 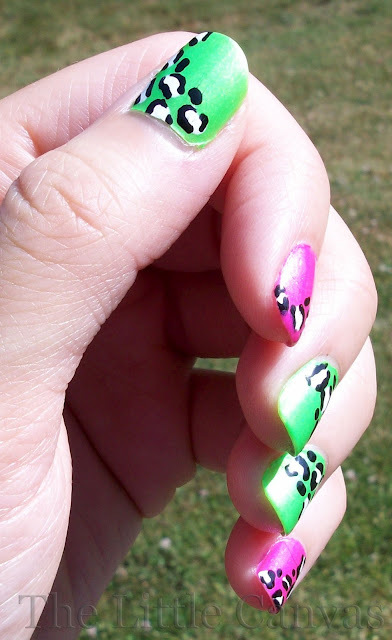 I took off the two green nails and painted on the leopard print starting from the cuticle down. And well, you know how happy I was with that. Leopard spots are easy to do, just dot on some white polish (or whatever color you want as the spot) and outline it with the black polish using a tooth pick. Then fill in the empty spaces with some more black spots. 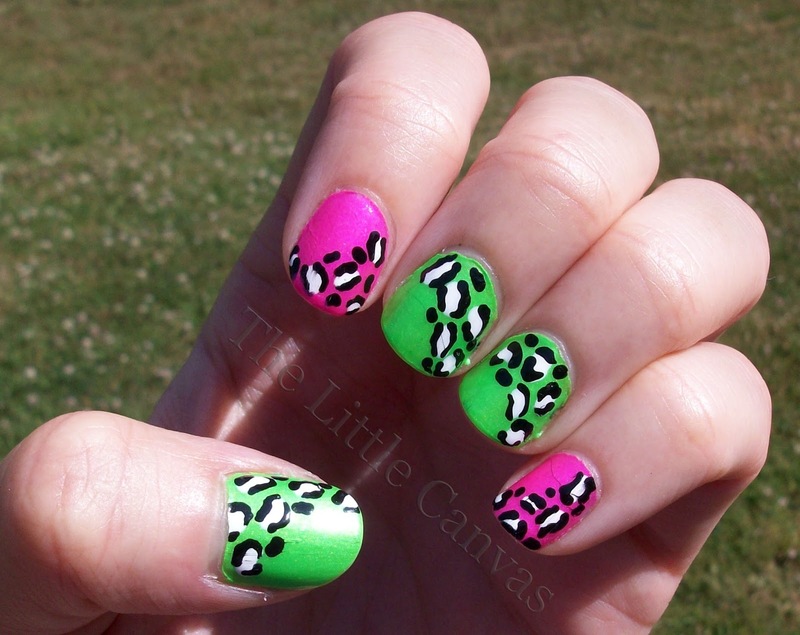 The leopard just seems to pop and stand out more on the neon than the black zebra lines do. Maybe I'll attempt it again in the near future, but who knows. Which did you like better? Do you like the zebra? Think it would look better as a full zebra print and not just a few lines? very cool idea, best neon version i've seen!! 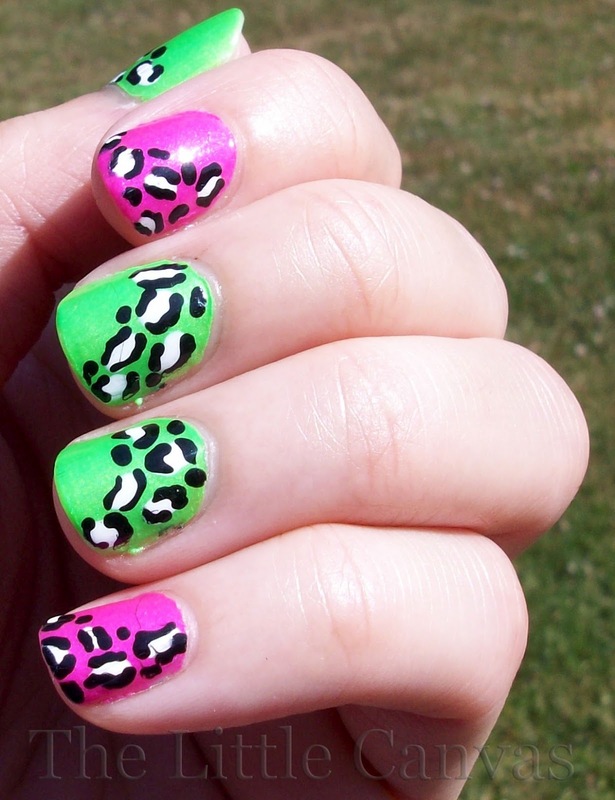 i just love love love your 'cheetah' print...ur so talented! ;D hahaa no but really these look badass & awesome! love u! LOVE the cheetah print. Simply AMAZING!